At last! 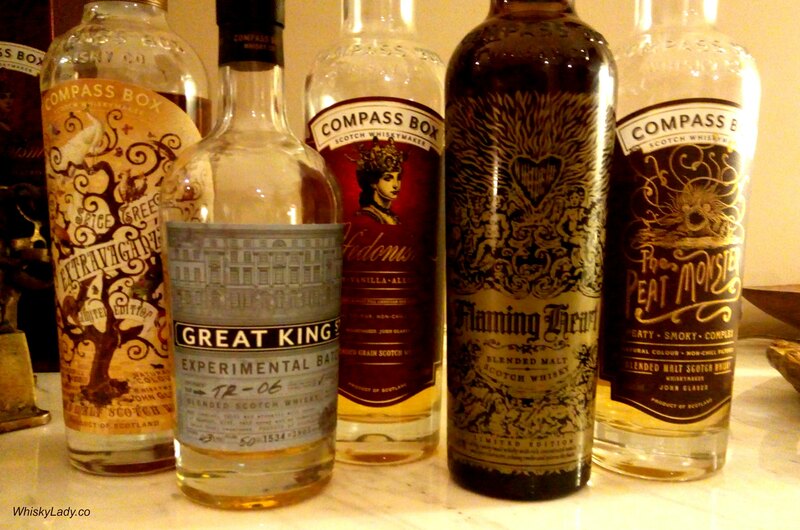 Our final Whisky Ladies Compass Box Quintet whisky of the evening! We started with Spice Tree Extravaganza, then the lightly peated Great King Street Experimental Batch, shifted gears completely to the blended grain Hedonism before being bowled over by the majestic Flaming Heart! No easy feat to follow, Peat Monster boldly entered the fray! After the gorgeous complexity of Flaming Heart, Peat Monster was a return to a dramatic dram that gets right to the point. Nothing fundamentally wrong with that – in fact at times that is exactly what you are in the mood for! No nonsense, this is what it is and enjoy! 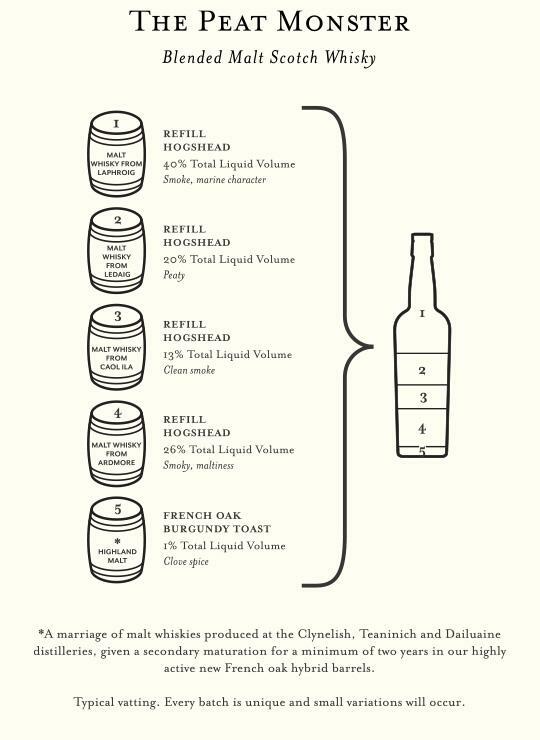 For the whisky geeks, I’ve included Compass Box’s info graphic, outlining the break-up between Laphroaig, Ledaig, Caol Ila, Ardmore with a 1% dash of Highland malt (Clynelish, Teaninich, Duilaine) with a warning that with each batch variation will occur. Psst… this wasn’t my first brush with Peat Monster… you can read more about my earlier experience here. This whisky was purchased by one of our Whisky Ladies and sampled from an unopened bottle in July 2017. It is also available in India through The Vault Fine Spirits. This entry was posted in Blends, Scotland and tagged Compass Box, Compass Box Peat Monster, Peat Monster, Peat Whisky by Carissa Hickling. Bookmark the permalink.